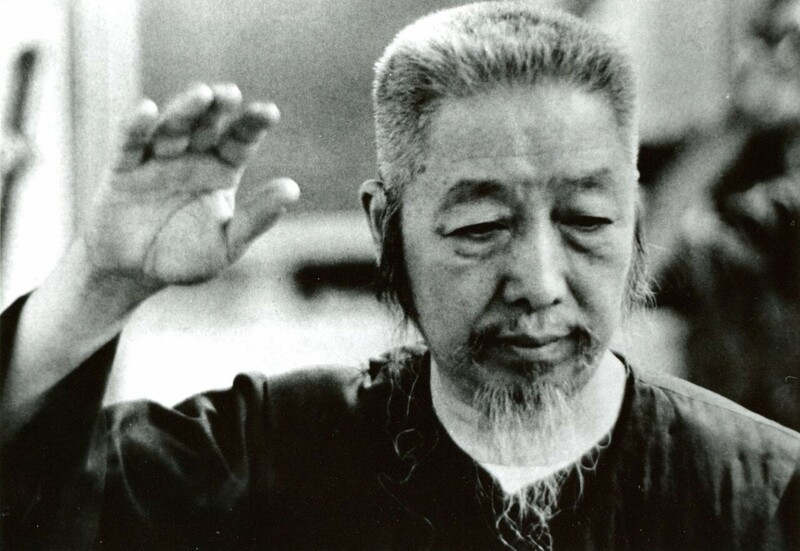 Tai Chi in its most pure form is nothing less than the manifestation of a human being in complete harmony with its environment, be it with nature or with the culture in which its lives. Tai Chi is actually an internal martial art. The so called ‘form’ consists of a series of accurately performed movements, that are being done with concentration and awareness. They help you to relax and improve your health and vitality. As such they constitute a moving meditation that produce at the same time an improvement of vital energy throuhgout the body. The Chinese call this energy ‘chi’, the Japanese call it ‘ki’. Tai Chi is being practiced in the entire world as a way to relieve stress, attain relaxation and become and stay healthy. What are the benefits of practicing Tai Chi? In the Tai Chi form we move from position to position in a fluent way. The positions all have their own name and meaning. Below are the names of the 37 positions of the Yang Style short form as taught by Cheng Man-Ch’ing. Below are the names of the 52 sword positions of the sword form as taught by Cheng Man-Ch’ing. As in the empty hand form we move in a fluent way through the positions. 2. Step Forward Moving Sword and Hand Together. 3. The Divinity Points the Way. 4. Three Rings Around the Moon. 6. The Swallow Beats the Water [with its wings] 7. Block and Sweep (Right and Left). 9. The Wasp Enters the Cave. 10. The Alert Cat Catches the Mouse. 12. The Swallow Returns to the Nest. 13. The Phoenix Spreads its Wings. 14. Minor Literary Star (Clockwise-Whirling Wind). 15. Attitude of Awaiting the Fish (Counter-Clockwise Whirling Wind). 16. Dividing The Grass in Search of the Snake. 18. The Birds Return to the Forest. 19. The Black Dragon Wags its Tail. 20. The Wind Rolls the Lotus Leaf. 21. The Lion Shakes his Head. 22. The Tiger Holds his Head. 23. The Wild Horse Leaps Over the Stream. 24. Turn Your Body to Stop the Horse (Turn and Rein in). 25. (Needle of) The Compass. 26. Wave the Whisk Broom Against the Wind. 27. Pushing the Boat with the Current. 28. The Shooting Star Chases the Moon. 29. Pegasus (Flying Heavenly Horse); the Spraying Waterfall. 30. Roll up the Screen. 31. Wheels (Left and Right Form). 32. The Swallow Holds Mud in its Beak. 33. The Roc Spreads its Wings. 34. Pick up the Moon from the Bottom of the Sea. 36. The Dragon Spirit (Sea Monster) Searches the Sea. 37. The Rhinoceros Gazing at the Moon. 38. Shoot the Flying Goose. 39. The Green Dragon Stretches its Claws. 40. The Phoenix Spreads Both Wings. 41. Step Forward Right and Left and Block. 42. Shoot the Flying Goose. 43. The White Ape Offers Fruit. 44. The Falling Flowers, Left and Right. 45. The Fair Lady (Goddess) Weaves at the Shuttles. 46. The White Tiger Wags its Tail. 47. The Fish Leaps Over the Gate of the Dragon. 48. The Black Dragon Coils Around the Pillar. 49. The Divinity Points the Way. 50. The Wind Sweeps the Fallen Flower. 51. Holding the Tablet Before Your Bosom. 52. Embracing the Sword and Returning to the Starting Position.